Project director Justin Leidwanger excavates around a marble column and capital. 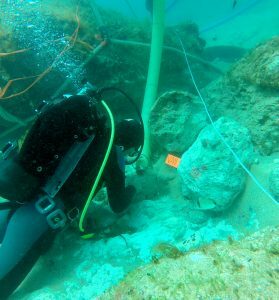 INA Affiliated Scholars Justin Leidwanger (Stanford University) and Elizabeth Greene (Brock University) are hard at work in Sicily excavating a large vessel that sank near Marzamemi in the 6th century A.D. 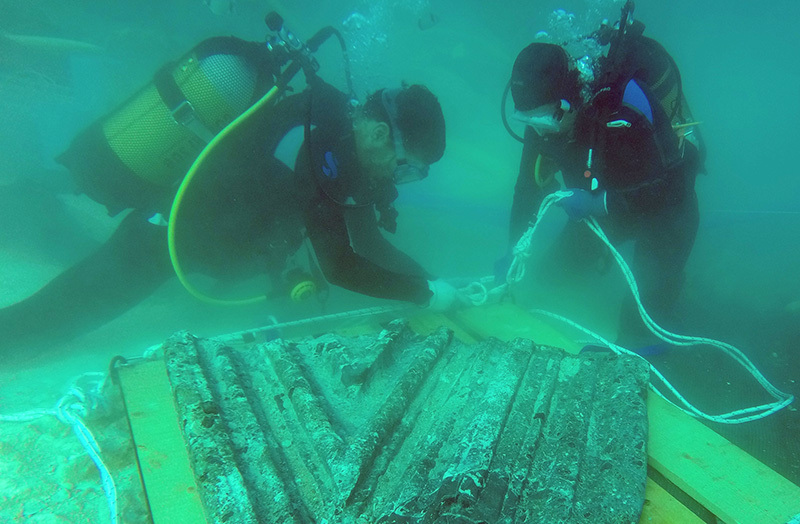 Since 2012, their investigations in conjunction with the Soprintendenza del Mare have shed new light on this monumental cargo – comprised of several hundred tons of religious and decorative architectural elements, partially prefabricated in Proconnesian marble, Thessalian green breccia, and other stones. The shipment was almost certainly en route from the northern Aegean for decoration of some new, or newly renovated early Christian church. The Marzamemi “church wreck” serves as vivid testimony to the struggle for integration—religious, economic, and political—among the disparate fragments of the once unified Roman world. 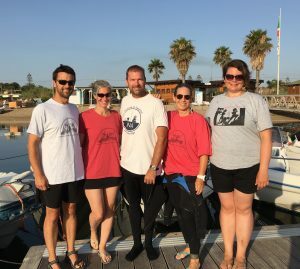 The 2016 excavations at Marzamemi are benefiting from the presence of several veterans of numerous INA shipwreck excavations including INA Director Sheila Matthews (mapping specialist), INA Associate Director Ken Trethewey, and Nautical Archaeology Program graduate Megan Collier. Asaf Oron, former head conservator at INA’s Bodrum Research Center, spent three seasons with the team. 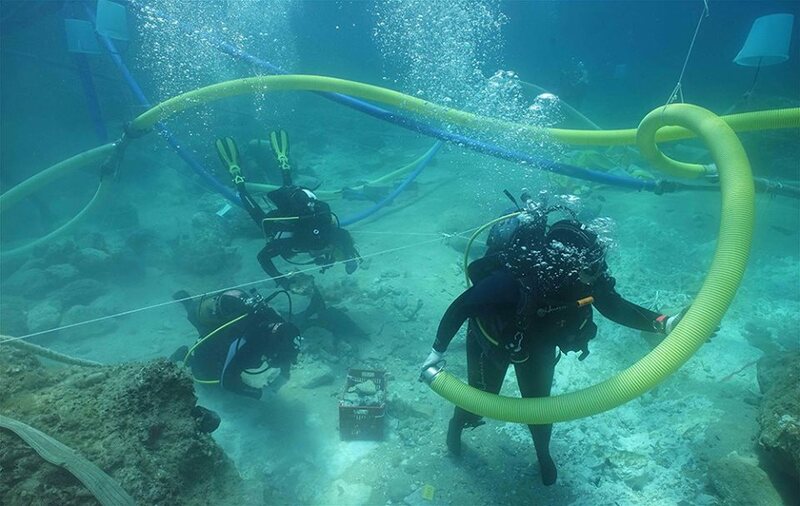 Together with the Kızılburun shipwreck excavated by INA between 2005 and 2011, the two sites speak volumes about the long-term use of Proconnesian marble and the complex industry associated with the quarrying and transport of monumental building stone throughout the ancient Mediterranean. To learn more about the project, follow them on Facebook (@marzamemiproject) or the project blog (marzamemi.stanford.edu). You can also visit the project’s INA webpage: Marzamemi II ‘Church Wreck’ Excavation. Megan Collier begins her two-hour dredging shift.